Gutter Cleaning is where we remove any debris from inside your gutter and downspouts to make sure rain water can flow easily and not backup and cause potential damage to the home. Gutters that are full of debris can fill up with water. The weight of a gutter full of water can cause damage to the gutter itself and many times cause it to break away from the fascia of the home. 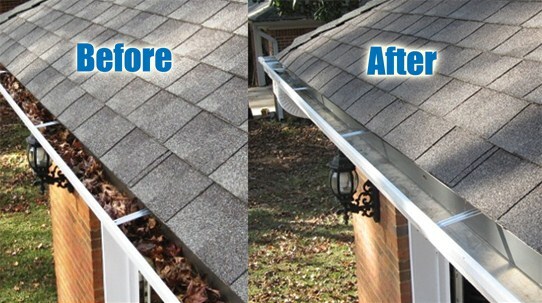 Gutters should be cleaned once a year.